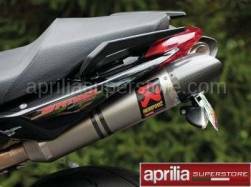 Made of Titanium with carbon fiber hexagonal shaped canister, this is the factory authorized slip-on exhaust which includes unique ECU unlock codes developed by Aprilia Corse. Weight reduction is ~3 lbs versus the stock can. Kit includes a straight-through (no cat) link pipe. (For Closed Circuit/Racing use only). Description: Slip-Ons represent the first step in the exhaust system tuning process, and they offer a great balance between price and performance. 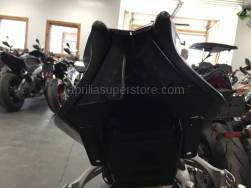 Sporty and lightweight Slip-On Line exhaust systems are a perfect match for this great Aprilia. Installation is a snap. The visual change comes with stylishly shaped carbon fiber muffler and end cap. 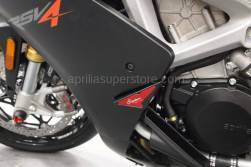 In addition to design effects and improved power delivery, Slip-Ons also enhance the Aprilia sound. Let your bike stand out with more power, beautiful design, and the unique Akrapovi? sound of Slip-Ons. Passenger footrest for mounting needed. If you want mount the Slip-On without passenger foot rest please order optional ?carbon bracket. LIMITED SIZING AND QUANTITIES REMAINING!!! Description: Official Aprilia Racing 2016 hoodie jacket with zipper. Made of: 85% Polystretch, 14% Polyurethan and 1% Elastan. Microinjection zipper pullers, inner layer with pressed logo. Enriched with official team’s logos printed. Size Large & X Large is currently backordered. Description: Official Aprilia Racing 2016 sweatshirt with zipper. Made of Polyester, 280 gr. French Terry. Enriched with official team’s logos printed. 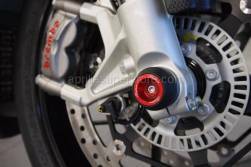 Description: Disk lock antitheft device ROADLOK APRILIA ROAD is an innovative disk lock and vehicle immobiliser antitheft device that combines security with practicality. The lock is mounted permanently on the vehicle and impedes any movement of the vehicle itself, eliminating the risk of damaging the bike should you forget to release the lock. Easy to use, practical and extremely safe: only remove the pin that acts on the ventilation holes of the disc, thus eliminating the typical storage problem of normal disc locks. Thatcham MC1 certification, which guarantees the resistance of the antitheft system against attempted forcing. Machined from a single billet of aluminium and anodised, the device features Ergal bushes, screws in class 8.8 steel and a lock and pin in high strength steel. The lock is characterised by 1.5 million combinations. 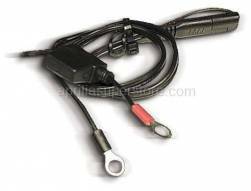 Note: it is important to register your copy of keys on the manufacturer's site (www.roadlok.com) in order to request any duplicates. Further information is contained in the instruction manual provided. 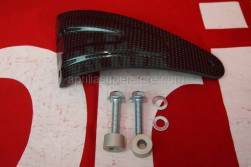 Description: Carbon fiber exhaust hanger to be used with Akrapovic slip on systems for RSV4 and Tuono V4. Description: Look no further if Horsepower is what you desire. 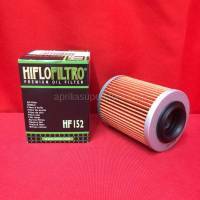 This free flowing air filter will bring your RF to life. Description: This New Design just for the New RR and RF Models incorporates the same multiple type of foam design that the WSBK filter above does to allow the most air in while still smoothing and optimizing the airflow for the best power just like on the HE and Race style filters! Description: For '97-'00 SR50. 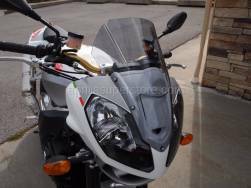 (Kit can also be made to fit '00-'04 SR50 Ditech with a reasonable amount of modification). Description: This Radiator Guard by Cox Racing is engineered so they are manufactured without welding. Frames are cut from a sheet of .060 5051 aluminum. The screen is .034 expanded aluminum. It is also hard anodized black for a chip-free, tough finish! 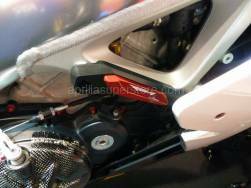 The Oil Cooler guard is cut to fit the chin fairing. Description: Rizoma Spy R Mirror's use of a special no-glare concave mirror increases the view in combination with an adjustment system which gives outstanding versatility. Description: This system is essentially a high pressure rim lock and seal that secures the entire tire bead to the rim, completely eliminating the use of a conventional tube. It allows you to run a low tire pressure (as low as 6 psi) which dramatically improves traction; especially important for off-road riding and racing. Since there’s no conventional tube the days of pinched tubes and flats are over!